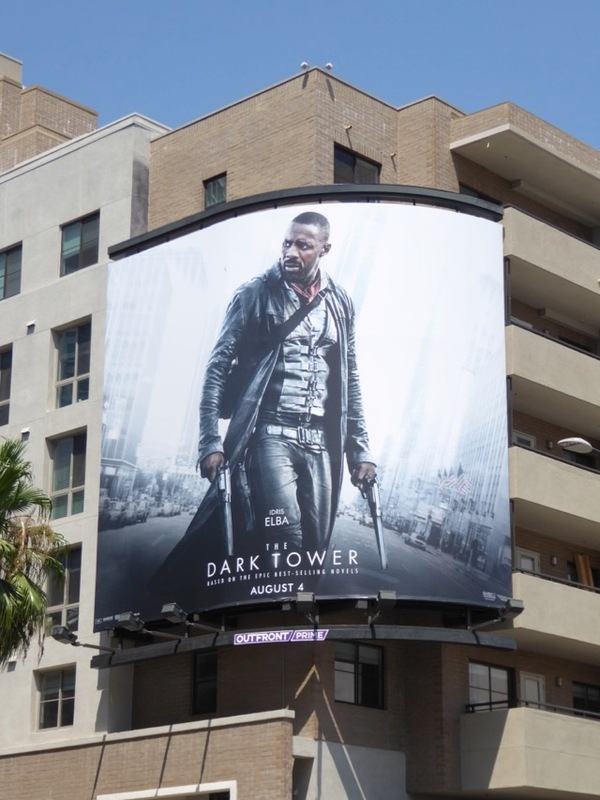 This summer after many years languishing in development hell Stephen King's epic book series, The Dark Tower, leaps from lettered page to the big screen. 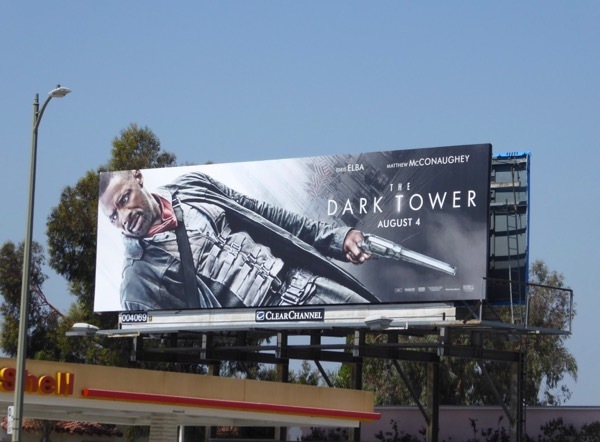 The eight novels in the saga followed the exploits of 'Roland Deschain', the last Gunslinger (played by Idris Elba), as he tried to reach and save The Dark Tower, a mythical construct which holds together all realities, from being toppled by 'Walter o'Dim' aka the 'Man in Black' (Matthew McConaughey) in the ultimate battle of good versus evil. 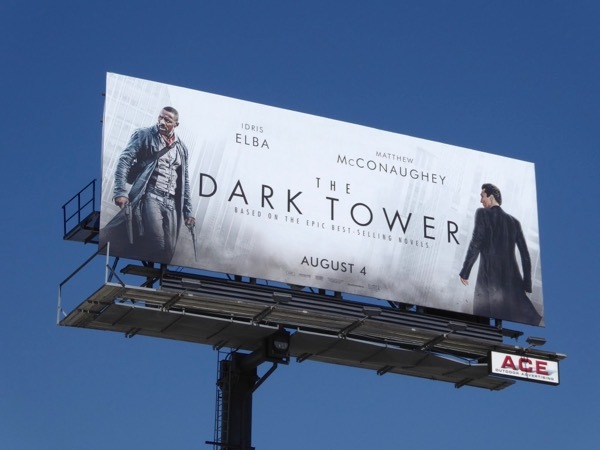 His perilous quest saw him joined by companions drawn from other worlds, facing death-defying obstacles and pursued by sorcerers and monsters in a tale which was equal parts fantasy, science fiction, Western and horror. 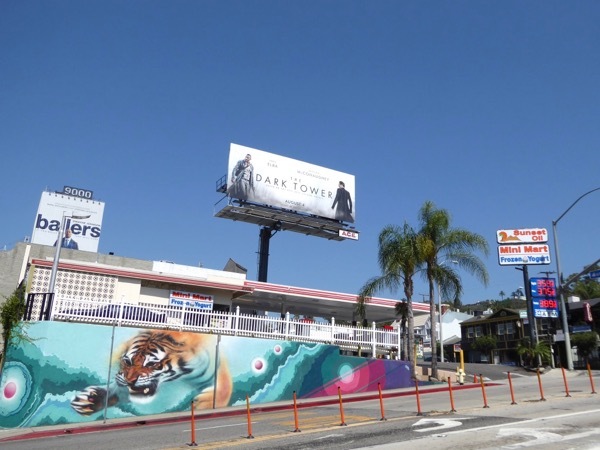 These movie billboards featuring the two adversaries were snapped along Sunset Boulevard, Pico Boulevard and Fairfax Avenue from July 17 to July 22, 2017. 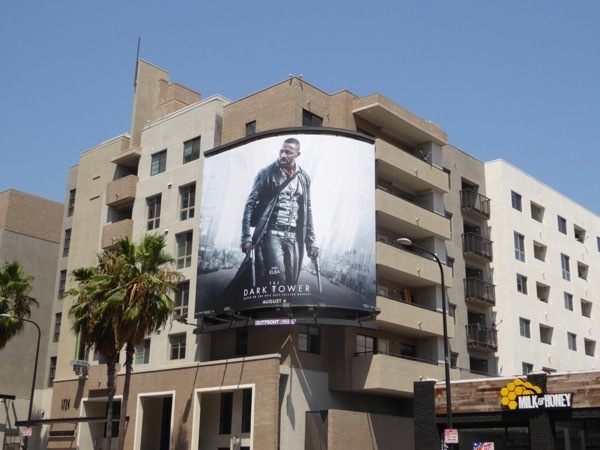 Fans of Idris Elba, who certainly looks the part of the Gunslinger, can also enjoy these Beasts of No Nation movie billboards, these No Good Deed film billboards and these Guerrilla TV series billboards. 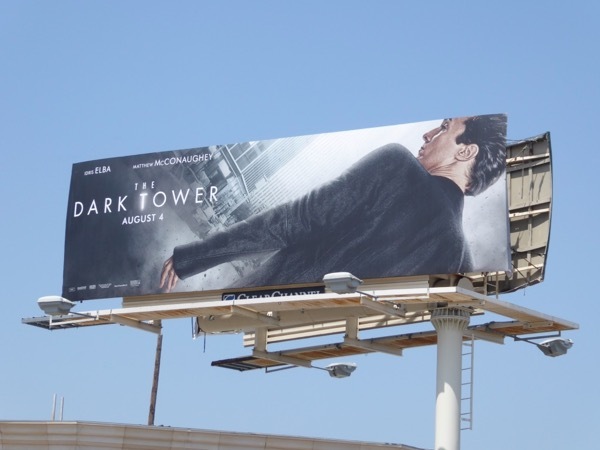 Meanwhile admirers of Matthew McConaughey can check out these Interstellar movie billboards and these True Detective season one billboards. 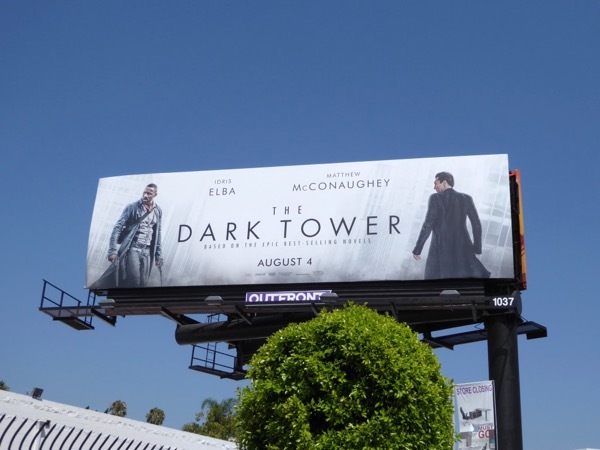 Let's hope this cinematic adaptation directed by Nikolaj Arcel, which will hop between parallel worlds of the Old West and modern day New York City, will be a worthy successor and continuation of the fantastical source material. 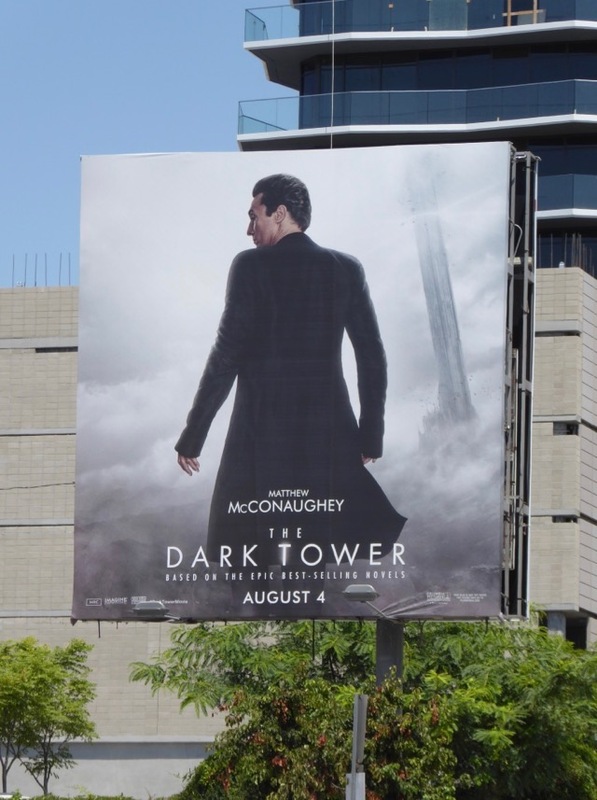 UPDATED: The Dark Tower may have its critics, but it certainly tries to cram as much mythology and magic into the short 95 minute movie as possible, and there's a lot there to please fans of the books. 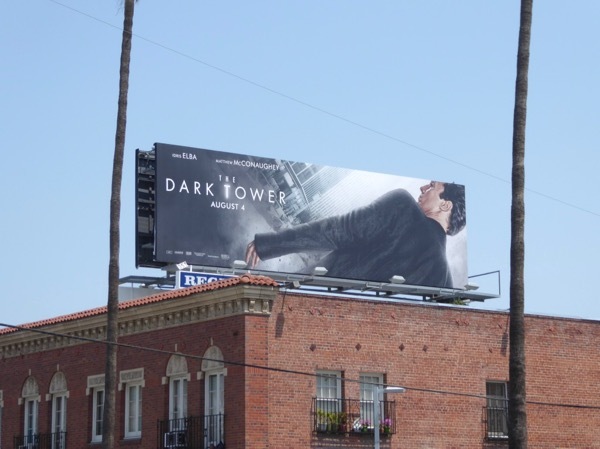 Here's another billboard for the Man in Black himself, with his very own Dark Tower in the background along Hollywood's Argyle Avenue on August 4, 2017. 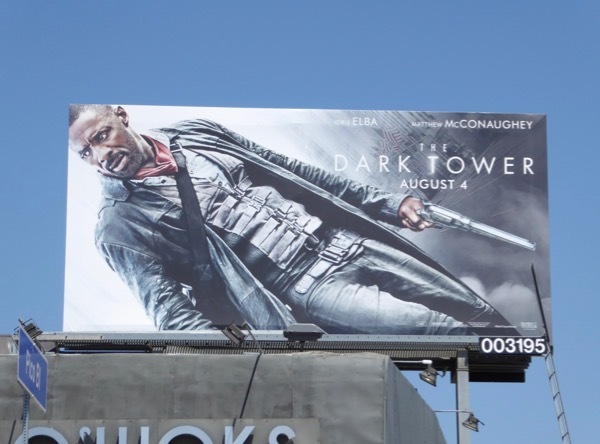 UPDATED: Here's also a solo billboard for Roland of Gilead, spotted high above Hollywood & Highland on August 5, 2017. 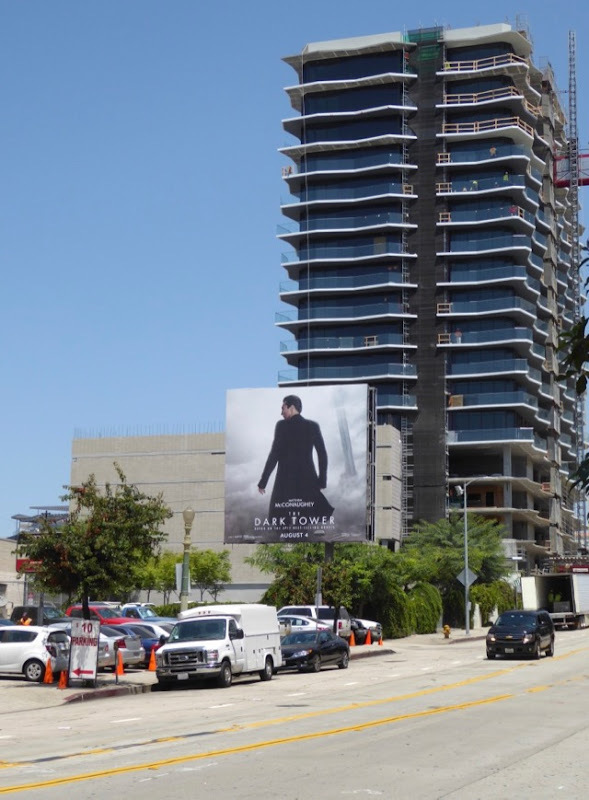 With rumblings of a Dark Tower TV series in the works, it looks like this fantastical world may yet live on, even if we don't get a movie sequel.